Now booking clubs, festivals, private parties and wherever you need great music! Washington Blues Recording (our CD "Don't Blame The DYNAMITE...If you can't light the fuse!"). 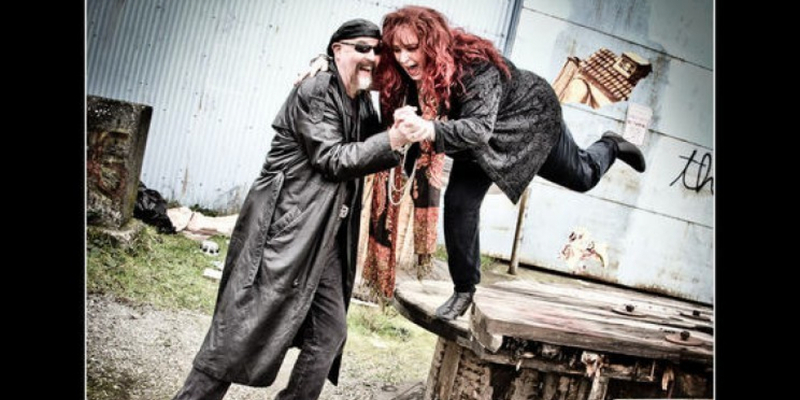 RJ Knapp & Honey Robin, from the greater Seattle,WA area, are emerging as one of the premier, high energy, hard hitting, original and rocking, blues bands, with founder RJ Knapp on lead guitar and vocals, Robin Mahaffey on lead and backup vocals. We have a show that you won't soon forget, and we can't wait to share it with you! OUR NEW CD IS HERE! "Don't Blame The Dynamite...If you can't light the fuse!" 15 Songs, 14 are RJ Knapp ORIGINALS! 111,131 views since Wednesday, 04 May 2011.